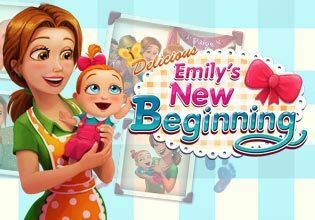 After living on a pink cloud for a while, Emily decides to reopen Emily's Place. However, with a baby to take care of, it proves to be challenging. Help Emily combine running her restaurant with being a good mom.